Getting a puppy can be such an exciting experience. But, amid all of that excitement, there are several practical things that you need to do. One of the key practical considerations, when you have a new puppy, is getting their vaccines sorted. Navigating the world of puppy vaccination need not be a complicated or daunting experience. Below, to help you out, you will find a handy guide to getting your pup vaccinated. Which shots do puppies need? The American Veterinary Medicine Association Council has a list of both ‘core’ (or essential) vaccines for dogs and ‘noncore’ (or optional) vaccines. The core vaccines are rabies, canine distemper, canine adenovirus-2, and canine parvovirus-2. Let’s take a closer look at each of these vaccines and what they do. Rabies is a disease that is very often associated with dogs, though it can be carried by all mammals, including bats and cats. Rabies can be passed not only from other mammals to dogs, but it can also be given from dogs to humans. 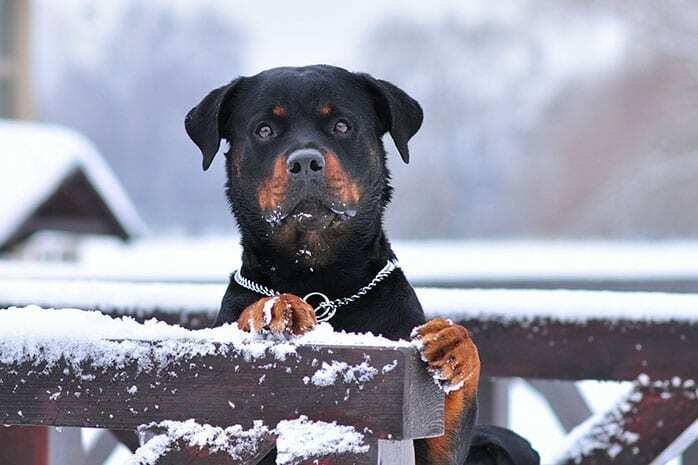 So, the rabies vaccine will not only protect your dog from catching rabies from other animals (and thus getting sick), it will also prevent your dog from passing rabies on to humans and other mammals – and thus making them sick. The rabies vaccine is very useful, and there is usually just a moderate risk that your dog will suffer adverse effects from it. 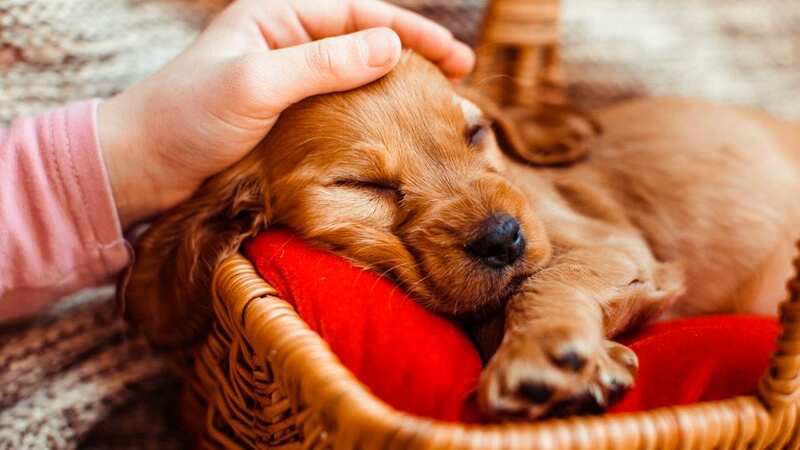 Another good thing to know about this vaccine is that the length of immunity that it gives your puppy will depend on the precise type of vaccine that you are offered. Your puppy may need to get a booster vaccine at some point in their adult life, and your vet will be able to advise you about that. Canine distemper is a very contagious virus that primarily affects dogs but can also harm some other mammals, including raccoons. There is no known cure for canine distemper, and so it is vital to get your puppy vaccinated against it. This virus attacks several parts of the body, including the respiratory system and the spinal cord. Symptoms include eye inflammation, digestive problems, and a high fever, and it is fatal in 50% of cases. The vaccine is very effective, and if a modified live form of the virus is used, it gives immunity of over a year. 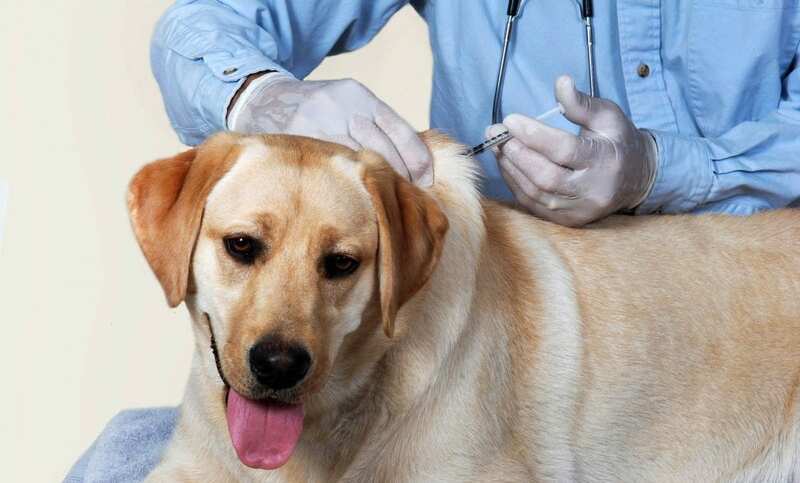 There is a very low risk that your dog will suffer complications from this vaccine. Canine adenovirus-2 is a virus that is related to the hepatitis virus. Like the hepatitis virus that can infect humans, canine adenovirus-2 can harm your dog’s liver. Getting your puppy vaccinated against this virus will give them immunity for over a year and carries a low risk of side effects. Your puppy will need booster shots at intervals of a year or more for both this virus and for canine distemper. Canine parvovirus is a disease that cannot be passed to humans, though its mortality rate if untreated is around 91%. 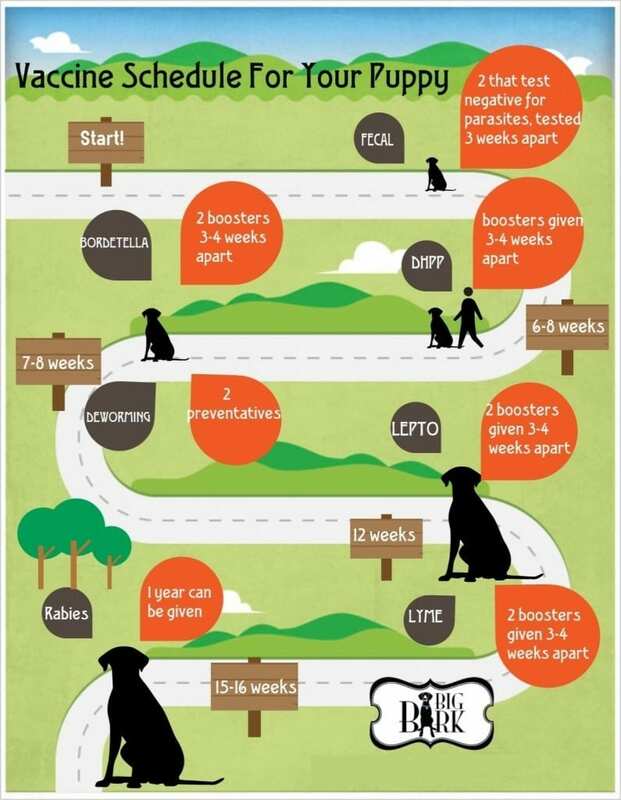 So, it is vital to get your puppy vaccinated against it. Parvovirus causes a condition that can be compared to leukemia: it causes lethargy, low white blood cell counts and future shock in dogs. Vaccinations are very useful, carry a low risk of side effects and provide immunity for over a year. Your vet will be able to advise you on booster shots. As well as these core shots, there are several noncore shots that you can get for your puppy. Often, whether or not your vet recommends these shots will depend on your dog’s breed (some dogs are genetically more disposed to some diseases than others are) and the types of conditions that are prevalent in your area. These include Lyme diseases, measles and Coronavirus. 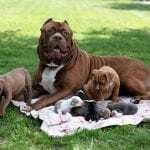 Sometimes, your vet will recommend certain vaccinations for your dog if any of the members of your household have weakened immune systems as these vaccinations will not just protect your dog, they will also protect the humans that they live with. When should puppies be vaccinated? Puppies should be given all of their vaccinations before they are allowed to socialize with other dogs. This will ensure that they do not pick up or pass on any diseases. The earliest treatment that puppies are given is usually that for parvovirus. If puppies are deemed to be at high risk of developing parvovirus, then they can be vaccinated as early as five weeks of age. The next earliest vaccine will be that for coronavirus. 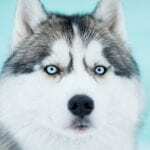 This is often given as a combination with parvovirus (if not already provided), canine adenovirus, parainfluenza, canine distemper, and cough vaccines. 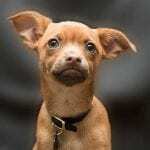 However, as mentioned above, not all puppies will need to receive all of these vaccinations, and so the vaccine could contain adenovirus and parvovirus without any other elements. Your vet will be able to vary the mixture depending on your puppy’s needs. This combination vaccine is given at six weeks and again at nine weeks. The rabies virus can be given from 12 weeks of age onwards. It is a good idea to get your puppy vaccinated against rabies as soon as possible. However, local laws can often affect the period at which rabies vaccines can be administered. At 12 and 15 weeks, your puppy will be given another set of two shots if necessary. These shots are for Lyme, Coronavirus, and Leptospirosis. Again, these vaccines will only be given if your puppy is at risk from these diseases or if you will be traveling with them to an area that is known to be at risk for these diseases. Adult booster shots will then need to be given as and when necessary. Again, your vet can advise you on this. If you plan to travel with your puppy abroad, further vaccinations may be needed depending on which country you are going to visit. If this all sounds a little complicated, then do not worry! Your vet will be able to provide you with a vaccination schedule to help you to remember when you need to bring your puppy in for their next shot. 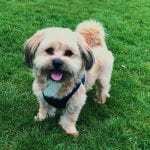 Usually, veterinary surgeries will be able to either give you a call or mail you a reminder when a new round of vaccinations is due.